We had 139 children take part in our annual High Five Festival. 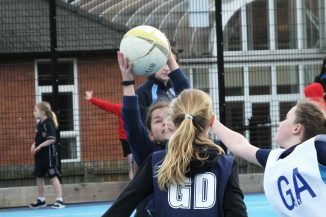 We were joined by 12 schools who spent the afternoon learning to play High Five netball with our Year 10 Sports Leaders and then they competed in the tournament. 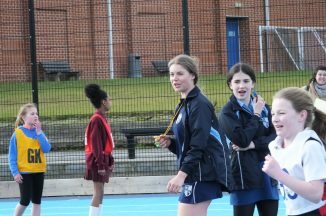 The sports leaders became part of the school teams as they coached and encouraged the children through their warm up and coaching session. 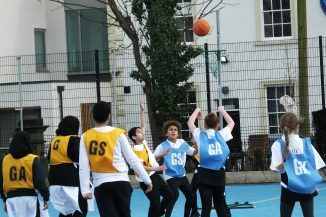 The support received from sports leaders, parents and teachers was fantastic. The sounds of cheers and positive encouragement could be heard all across our all-weather courts throughout the afternoon. Congratulations to all 18 teams that took part. Lady Bay won the Fair Play Award and Richard Bonington won the Most Improved Team. Thank you to all schools who participated.